You cannot use the TOC Properties dialog in Arc GIS to see the Flow Direction, Raster and the flow Accumulation Rasters. Howerer, you can conver these to Polygons and points using the Convert Tools in Arc Toolbox. 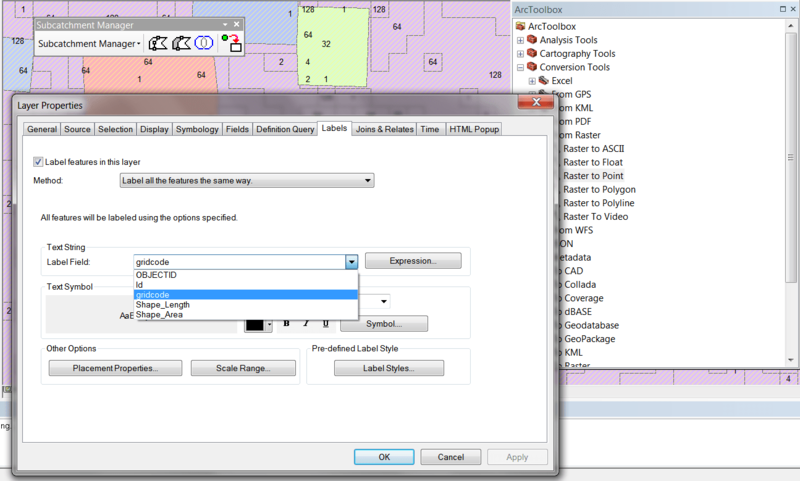 The Flow Direction created by InfoSWMM Subcatchment Manager can be converted to a polygon.